The Dicastery for the Laity, Family and Life has announced today that Pope Francis has chosen the themes for the next three World Youth Days, including the international celebration in 2019. Themes are: For the 32nd World Youth Day in 2017, “The Mighty One has done great things for me, and holy is his name” (Lk 1:49); for the 33rd World Youth Day in 2018, “Do not be afraid, Mary, for you have found favour with God” (Lk 1:30); and for the 34th World Youth Day, 2019, “I am the servant of the Lord. May it be done to me according to your word” (Lk 1:30). The themes set forth the itinerary for the three-year World Youth Day journey that will culminate at the international celebration of the event to be held in Panama in 2019. Youth Days are held at a diocesan or regional level each year, with the mega international events being held every two to three years. 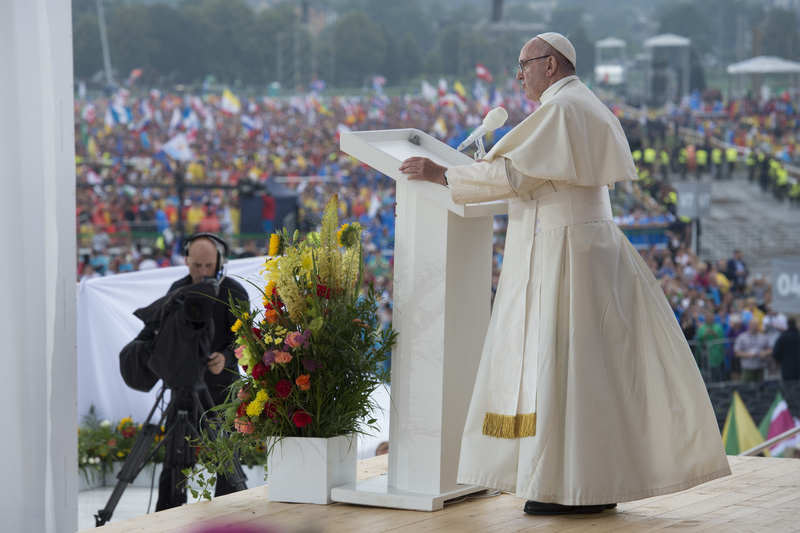 The last international event was held in Krakow this summer (2016) and Pope Francis announced that the next international Youth Day would be in Panama in 2019. The spiritual path indicated by the Holy Father continues the reflection that started with the last three WYDs (2014-16) when the themes were focused on the Beatitudes. As we know, Mary is the one that all generations call blessed (cf. Lk 1:49). In Pope Francis’ prepared address for the meeting with WYD volunteers in Krakow, he spoke of the disposition of the Mother of Jesus and described her as a role model to be imitated. While speaking without notes on that occasion, the Holy Father invited young people to have memory of the past, courage for the present and to have/be hope for the future. The three themes announced above are intended to give a clear Marian tone to the spiritual journey of the next three WYDs. At the same time they give a picture of young people on a journey between the past (2017), present (2018) and future (2019), inspired by the three theological virtues of faith, charity and hope. This path that is being proposed to young people can also be seen to be in harmony with the reflection that Pope Francis has entrusted to the next Synod of Bishops: Young People, Faith and Vocational Discernment.